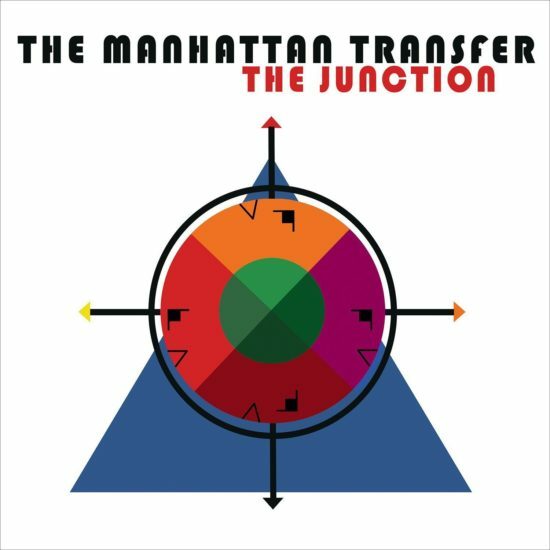 Across nearly five decades, the Manhattan Transfer has always been the most musically versatile of vocal groups, traveling from the retro artfulness of their early days to the pop-redefining sass of Tonin’, and from the acrobatics of Vocalese to stellar navigations of the Louis Armstrong and Chick Corea songbooks. This time around, necessity proved the mother of reinvention. The group’s first album in nine years, The Junction is also its first since the 2014 death of founder Tim Hauser, who’s replaced by Trist Curless, formerly with the L.A.-based ensemble m-pact. The harmonies are as tight as ever, the vocal faculty and pliability of Janis Siegel, Alan Paul and Cheryl Bentyne still sterling, with Curless ably filling Hauser’s bass chair while lending plenty of freshly inventive touches. True to the group’s varied past, The Junction is a trans-genre pastiche, opening with the Us3 jazz-rap hit “Cantaloop (Flip Fantasia),” with its clever references to Herbie Hancock’s “Cantaloupe Island.” There’s a delightful cocktail of “Tequila” and Paul’s “The Way of the Booze”; Paul also contributes the hard-driving “Swing Balboa,” with Siegel adding the funky “Shake Ya Boogie.” Bentyne shaped lyrics to Grace Kelly’s “Blues for Harry Bosch,” a slyly noirish salute to author Michael Connelly’s celebrated gumshoe, featuring Kelly on alto saxophone. Amid all the exuberant fun, XTC’s “The Man Who Sailed Around His Soul” and Rickie Lee Jones’ “Ugly Man” provide introspective interludes. And the all-stops-pulled title track, nodding to their signature “Tuxedo Junction,” joyfully celebrates the group’s seemingly limitless musical vocabulary. Preview, buy or download The Junction on Amazon.